The table is currently in a very surprising situation. Most expected Sri Lanka to show Bangladesh the door. But here they are still standing up and shining. The tournament is wide open. Today’s match is between India and Sri Lanka. The stakes are much higher now that Bangladesh is more feared than before. The teams would not want to risk anything at this point. Earlier I had said that they might experiment with the lineup and give everyone a chance. Now it will be more than giving people a chance. They will strategize. 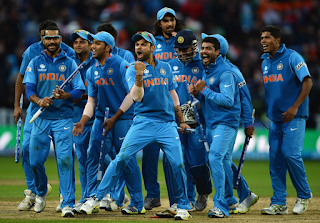 The Indian team will be open to experimentation, but not at the cost of results. The untested ones are Deepak Hooda, KL Rahul, and Axar Patel. India has lost to Sri Lanka in their first encounter of this tournament. They will want to be wary because another defeat could cost them the tournament itself. So, not all the new players will see the light today. A lot depends on Rohit Sharma today. Shikhar Dhawan, Suresh Raina, Manish Pandey and Dinesh Karthik will chip in too. Jaydev Unadkat holds the key to the pitch that supports batsmen. This pacer can make all the difference. Spinners have a decent impact. Will Siraj come in instead of Sharad Thakur? Rohit Sharma (c), Shikhar Dhawan, Suresh Raina, Rishabh Pant, Manish Pandey, Dinesh Karthik, Washington Sundar, Vijay Shankar, Shardul Thakur/Siraj, Yuzvendra Chahal, Jaydev Unadkat.